We started our leasing & proper ty management services in 2002 to help our existing clients handle their investment properties as they didn’t like the other choices available for property management in the area. We look at property management as an important part of helping our investor clients manage their property portfolio, so we are always focused on constantly maintaining properties in top condition, so that should an owner decide to sell at any given time, the property is ready quickly. We are also dedicated to making recommendations to owners for improvements and repairs based on keeping properties in the best condition to attract top quality tenant applicants, minimize vacancy times and keep rent amounts at their highest possible amount. We are interested in representing property owners who want a full service real estate company to help them with their investment property portfolio. We’re not trying to build a large property management company, but instead to provide owners who work with us in buying and selling homes an outstanding in house hands-on management company. For that reason, we do not accept referrals from other real estate agents. We manage a small portfolio of properties, so we can stay intimately aware of all issues affecting the property, while larger property management companies might have 75-100 properties assigned to one manager, who rarely, if ever steps foot in the property. When a tenant contacts us with a repair issue, in many cases we are able to visit the property and see if the issue can be rectified without a contractor service call, avoiding unnecessary expenses to the owner. Examples include circuit breakers, fuses, jammed garbage disposals, door latches, etc. that we’ve been able to easily rectify without a service call. One of the most unethical things we see that has become common in this business is property management companies adding a surcharge for every repair call, or negotiating a special “discount” with contractors which goes to the management company instead of the property owner. Why should the management company make more money each time your property needs a repair? The monthly management fee is paid by the owner for the management company to handle such issues. Our fees are limited to the monthly management fee. If we get any discounts from contractors, we pass those savings along to our clients. Unlike most large management companies, we also do not charge any additional fees for helping to set up or oversee larger remodeling jobs. As stated above, one of our primary goals is to help our clients maintain and improve their properties for both their future sales and rental value, so we’re happy to take the lead in helping our clients complete property improvements. We work with a number of established contractors and have helped obtain estimates for and oversee many remodeling projects. 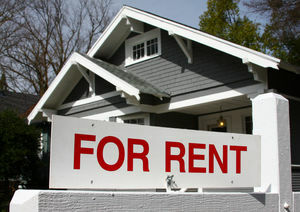 One of the most expensive and often most overlooked cost of owning a residential rental property is vacancy time. We are acutely focused on that issue, and rarely have vacancy times between tenants of more than 2 weeks. We begin marketing properties as soon as we receive notice from existing tenants, and with our constant focus on maintaining properties, we can generally turn over and get properties ready quickly between tenants. We take a great deal of pride in our relationships with tenants. Our tenants know that any concerns or questions will be handled quickly and that we will keep up excellent communication throughout their tenancy, as opposed to calling or emailing a large management company where their concern may not be answered in a timely manner and likely handled by a receptionist. This helps avoid misunderstandings and potential liability for our property owners and makes the move out process smoother. We will perform a full market analysis of your property, and suggest the correct rental price so that the property is rented in a timely manner. Without a doubt, the most expensive cost of owning rental property is vacancy, and we strive to minimize any vacancy period. In addition, we will complete a walk-through of the property and suggest any improvements or repairs and obtain cost estimates for the completion of any such work, and follow that process through to it’s conclusion. We do require that all of our management properties conform to current state and local ordinances regarding the maintenance and upkeep for rental properties to protect both ourselves and you, the owner, from potential liability. We use a number of different outlets to advertise your property for lease. We use multiple websites including our own, www.ClocktowerRealty.com, and outside sites, such as Zillow, Trulia, Craig’s List, and Postlets to market your property. One of the biggest benefits to having a property management company is our availability to show your property to potential tenants in a timely manner. We answer and return calls promptly, and make ourselves available at the potential tenant’s convenience to make sure your property is seen. We require that all applicants complete our application, and we run a credit check and verify current employment and past landlord references. At that point, we will come to you with all the information for your approval. We suggest high standards in the acceptance of potential tenants, in good, verifiable references, and a credit score in the range of 650 or higher. We’ve found that those high standards help dramatically in acquiring a tenant that pays rent on time, and is conscientious in maintaining the property. We also typically ask for a security deposit equal to 1 – 1 ½ times the rental amount. Once you approve of the tenant applicant, we will prepare and sign the lease agreement. Our lease agreements include stipulations that the tenant maintain renter’s insurance, allow no smoking on the premises, allow no pets, and no waterbeds. We also require that tenants have carpets, if any, professionally cleaned upon move-out. We perform regular inspections to identify preventive maintenance items and generate a list of suggested repairs and/or replacements. Our goal is maintain all areas of the structure on an ongoing basis to prevent larger problems down the road. We have excellent, ongoing relationships with a wide range of contractors and handymen ensuring that we receive competitive pricing and prompt service. Our tenants can reach us quickly and easily to get any issues resolved. A thorough inspection of the property with the tenant prior to move-in documents in writing and photographs the condition of the property. Near the end of the tenancy, another inspection with the tenant reveals the existing conditions and identifies those items that may need to be addressed prior to vacating. If security deposit deductions for repairs are necessary, we will handle that along with all necessary documentation to abide by California law. Each month, we will collect the rent, and send you a statement of income and expenses along with a direct deposit of your funds on or before the 15th of each month. We will include invoices for any repairs that were done during the month. At year end, you’ll receive a full year end statement with all costs itemized to make it easy to do your taxes, or hand off to your accountant. We pride ourselves on responding quickly to tenant issues, both to help protect your property, and to insure satisfied tenants, leading to less tenant turnover. We are available to both owners and tenants by our phone system with automatic paging, and email.